The modern vehicles having very high loads and high tyre inflation pressures are the outcome of improvements in the automobile segment. The combined effect of higher tyre pressure and excessive loading leads to premature failure of roads in the form of potholes, cracking, etc. which has drastically brought down the life of a road. One of the major cause that contributes to road accidents is deteriorated condition of roads in terms of cracking, potholes and uneven surface due to rutting. This research documents the use of finite element analysis by treating tyre-pavement interaction as an axisymmetric two-dimensional problem. 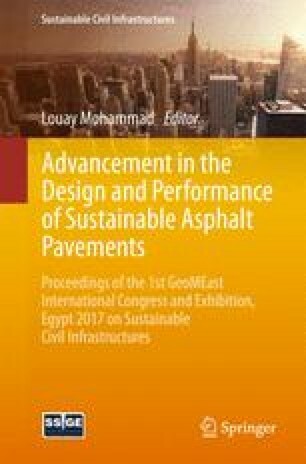 For predicting performance of flexible pavement which is subjected to different inflation pressures, loading conditions, variation in thickness and material properties of different layers in the flexible pavement, modeling is done using a developed program in FORTRAN. From the analysis, it is observed that the value of ε t at bottom of BL increases by 215.33% and 254.48% by an overloading in standard axle load by 2 times and 2.5 times respectively. Also, a noticeable increase of around 252.95% and 336.40% in ε v at top of subgrade is seen due to overloading the standard axle load by 2 times and 2.5 times respectively. It is noticed that the damage caused to a pavement by an overloaded axle load of around 2 times or 2.5 times the standard axle load is much more than the damage by the standard axle load. From the analysis, it is noticed that the pavement starts deteriorating earlier as the overloaded vehicles are consuming the designed life of the pavement, so from the present work, it is concluded that the pavement should be designed considering the uncontrollable overloading of the vehicles instead of relying on the standard or legal limits.